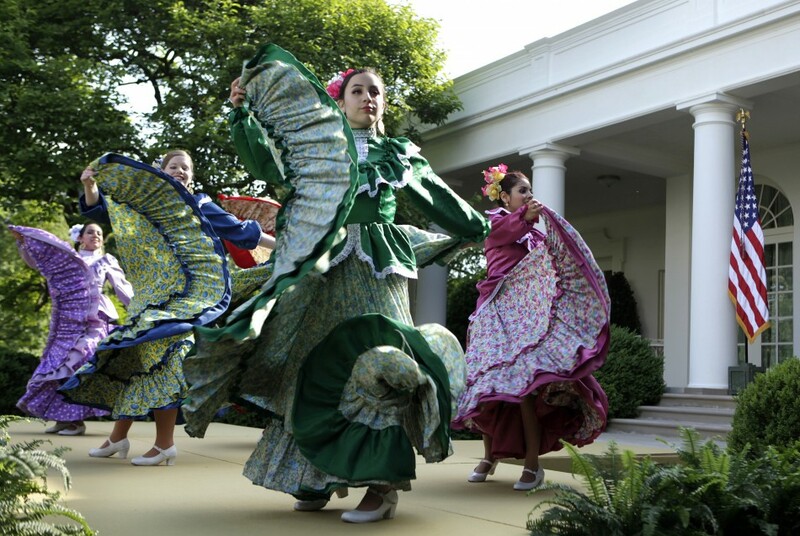 (AFP OUT) U.S. President Barack Obama greets guests during a Cinco de Mayo reception in the Rose Garden at the White House on May 3, 2012 in Washington, D.C. Cinco de Mayo celebrates the Battle of Puebla between Mexico and France in 1862. President Obama told a largely Hispanic audience today that he is ready to sign the DREAM Act and blamed Republicans for the failure of the legislation that would grant illegal immigrant students a path to citizenship. 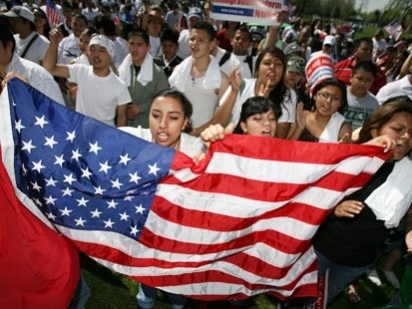 Today’s election-year celebration comes as the president courts Latino voters in the run-up to November. “We know that securing our future depends on making sure that all Americans have the opportunity to reach their potential. And that’s why we’ve worked hard over the last three and a half years to create jobs; to make sure you get the care you need when you get sick; to make college affordable for everybody; to ensure that no matter where you are, where you come from, what you look like, what your last name is — even if it’s Obama– you can make it if you try,” the president said to applause. 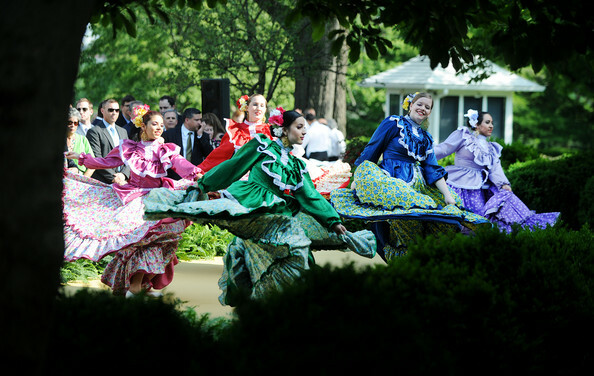 (AFP OUT) The Ballet Folklorico Mexicano performs during a Cinco de Mayo reception in the Rose Garden at the White House on May 3, 2012 in Washington, D.C. Cinco de Mayo celebrates the Battle of Puebla between Mexico and France in 1862. 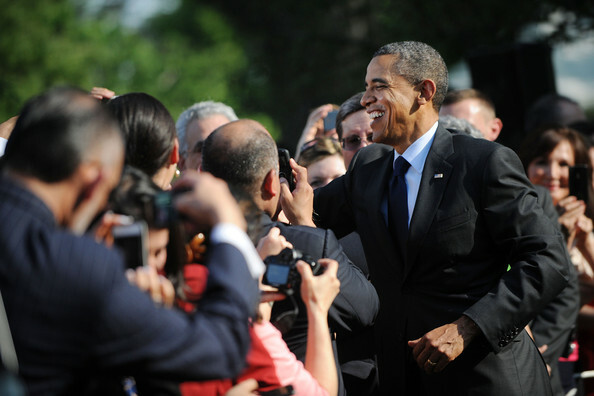 In his brief remarks, Obama welcomed everyone to celebrate the “tres de Mayo” at this year’s party. The president will spend the real Cinco de Mayo this Saturday campaigning in Ohio and Virginia. “We just like to get the fiesta started early around here,” he joked. This year’s “fiesta” included dance performances by Georgetown University’s Ballet Folklórico and traditional Mexican music. 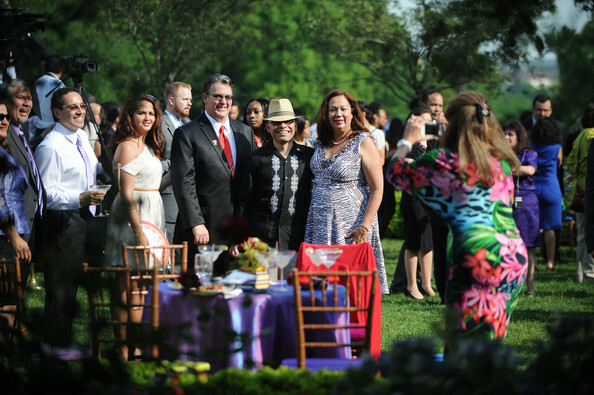 Guests mingled in the Rose Garden, sipping champagne and, of course, margaritas. 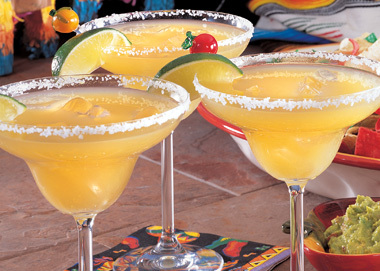 It’s almost May 5, 2012, so Happy Cinco de Mayo everyone! The day commemorates the Mexican army’s unlikely victory over French forces at the Battle of Puebla on May 5, 1862, under the leadership of Texas born General Ignacio Zaragoza Seguín. Cinco de Mayo is observed in the United States and other locations around the world as a celebration of Mexican heritage and pride. 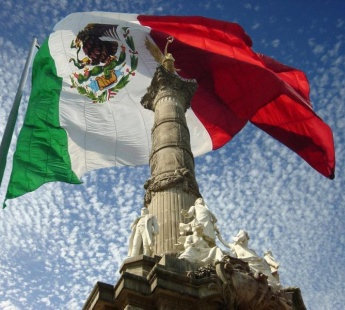 Within Mexico, Cinco de Mayo is primarily observed in the state of Puebla, where Zaragoza’s unlikely triumph occurred, for many Mexicans, however, May 5 is a day like any other: It is not a federal holiday, so offices, banks and stores remain open. 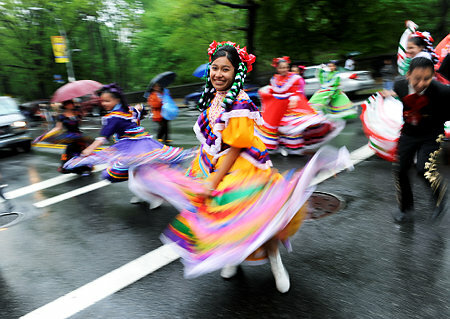 In the United States, Cinco de Mayo is widely interpreted as a celebration of Mexican culture and heritage, particularly in areas with substantial Mexican-American populations. 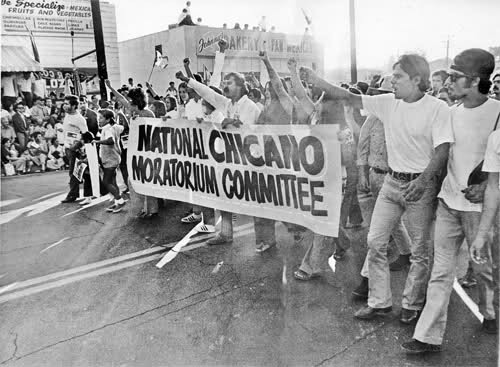 Chicano activists raised awareness of the holiday in the 1960s because the day commemorates the Mexican army’s unlikely victory over French forces at the Battle of Puebla. They identified with the victory of indigenous Mexicans over European invaders. 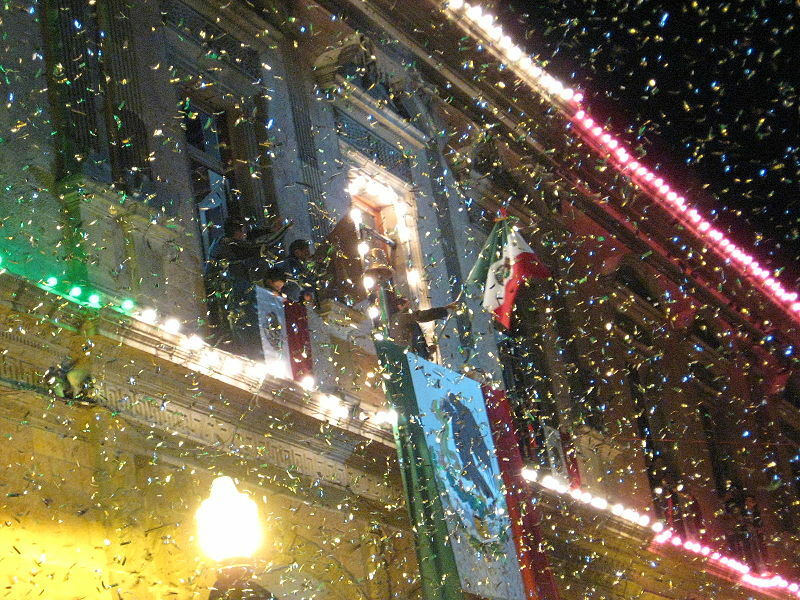 Today, revelers mark the occasion with parades, parties, mariachi music, Mexican folk dancing and traditional foods such as tacos and mole poblano. Some of the largest festivals are held in Los Angeles, Chicago and Arizona. 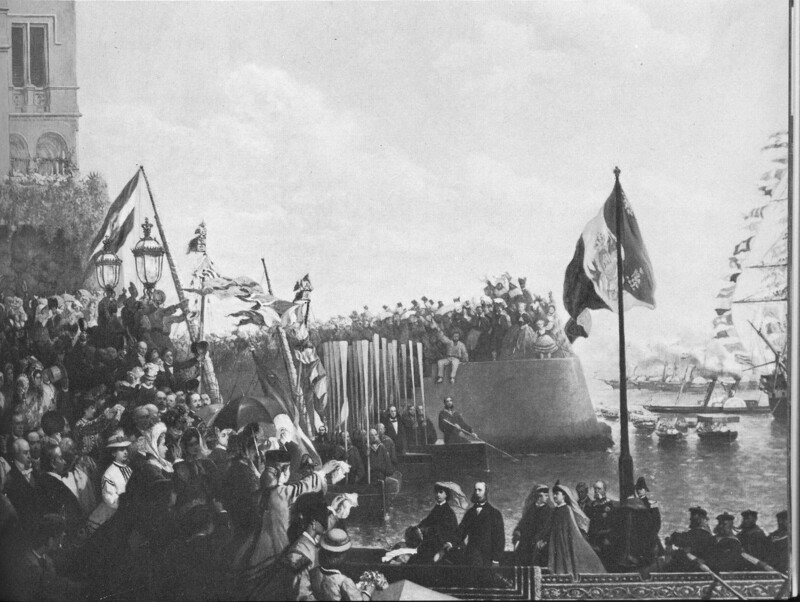 Hidalgo’s Grito did not condemn the notion of monarchy or criticize the current social order in detail, but his opposition to the events in Spain and the current viceregal government was clearly expressed in his reference to bad government. The Grito also emphasized loyalty to the Catholic religion, a sentiment with which both Creoles and Peninsulares (native Spaniards) could sympathize; however, the strong anti-Spanish cry of “Death to the Gachupines” (Gachupines was a nickname given to Peninsulares) probably had caused horror among Mexico’s elite. The French, however, did not withdraw and instead sent reinforcements to their troops in Mexico. At the time France was ruled by Louis Napoleon, the nephew of Napoleon Bonaparte. 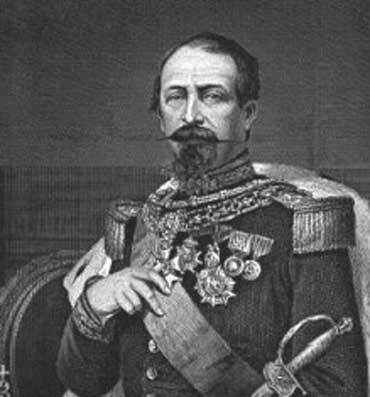 Louis Napoleon was elected President of France, but after the election he proclaimed himself Napoleon III, Emperor of the French (the British referred to him as “the nephew of the uncle”). While negotiations for the Mexican government to repay its debts were ongoing, the French commander, General Charles Ferdinand Latrille, comte (Count) de Lorencez, advanced on Mexico City from Vera Cruz, occupying the mountain passes which led down into the Valley of Mexico. At this point it became clear that Napoleon III planned to turn Mexico into a colony. The French advance was along a route that had been used several times in the past to conquer Mexico, first by the conquistador Hernan Cortes and most recently by US General Winfield Scott during the Mexican War. General Charles Ferdinand Latrille, Count de Lorencez, was the leader of the French forces – the Corps Expéditionnaire – which numbered about 7,300 men. He had been their commander for about two months. He was confident of victory. 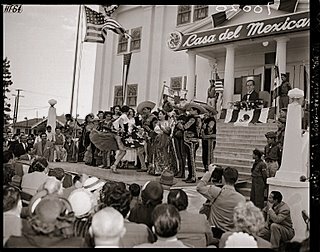 He boldly proclaimed, “we are so superior to the Mexicans in race, organization, morality, and elevated sentiments that as the head of 6,000 soldiers I am already master of Mexico.” He knew that less than 6,000 US troops – considered poorly trained and disciplined by European officers – had defeated a Mexican Army of 30,000 men under President General Antonio de Santa Anna (Antonio López de Santa Anna y Pérez de Lebrón) and taken Mexico City in 1847. General Count de Lorencez had over 1,000 more men than US General Winfield Scott, and the Mexican Army facing the French at Puebla numbered about 6,000 men (the French would later say 12,000) – far less than the army General Scott had defeated. 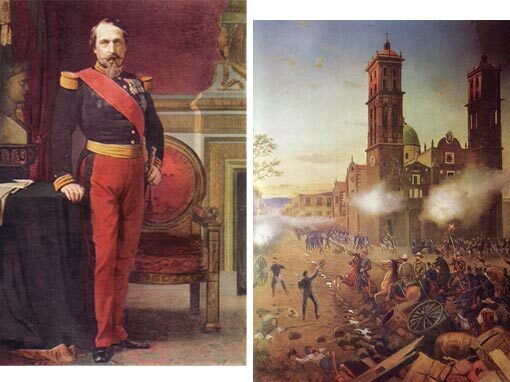 Left: Napoleon III, Emperor of the French (Chateau de Versailles); Right: Díaz at Puebla – This painting shows one of the critical moments of the Cinco de Mayo battle. 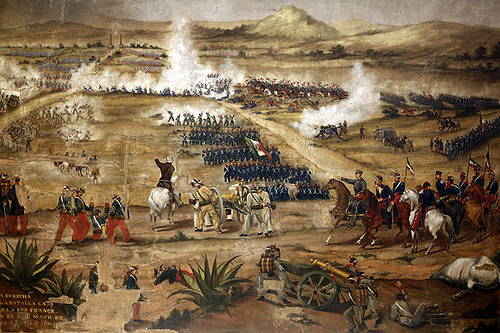 The French assault has begun to break up under the deadly fire of Mexican marksmen from Fort Loreto and the fortified monastery of Guadalupe. Just then, General Porfirio Díaz appears, leading a detachment of Mexican cavalry in a charge against the dispirited French troops. Furthermore, de Lorencez considered his own French troops far better trained and disciplined than the troops fielded by either the United States or Mexico. 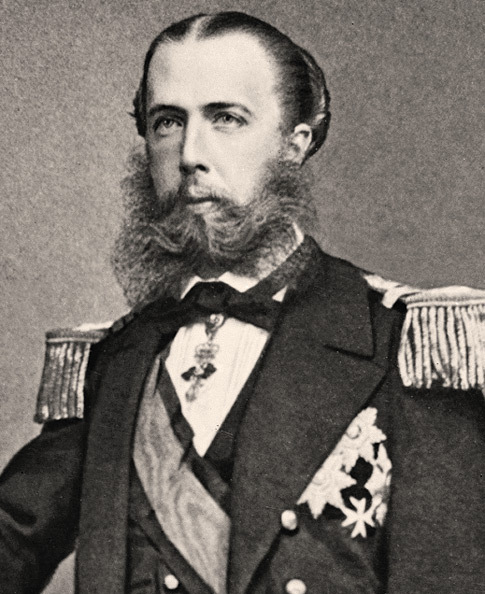 In order to make his entry into Puebla as impressive as possible, General Count de Lorencez ordered his troops to apply fresh whitening to their gaiters before the attack. The Mexican Army of the East (Ejército de Oriente), under the command of Texas-born General Ignacio Zaragoza (1829-1862), the vastly outnumbered and poorly supplied Mexicans fortified the town and prepared for the French assault. 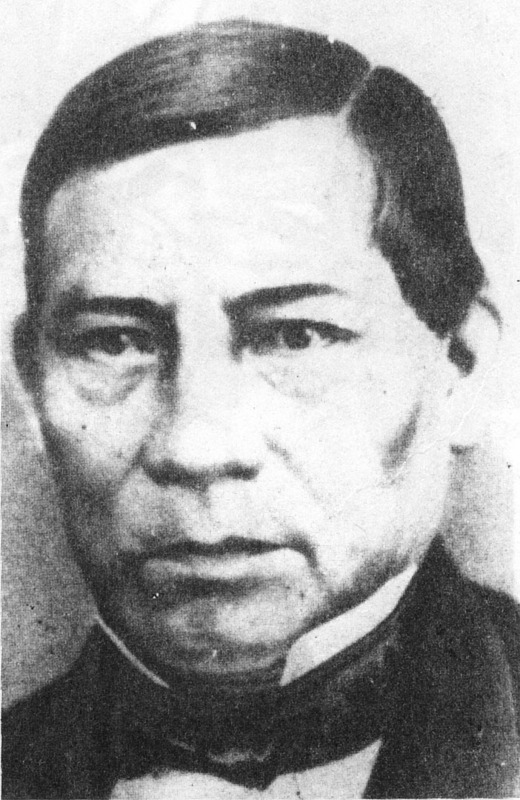 General Ignacio Zaragoza, took up positions at the town of Puebla (Puebla de los Angeles). This maneuver blocked the French advance on Mexico City. 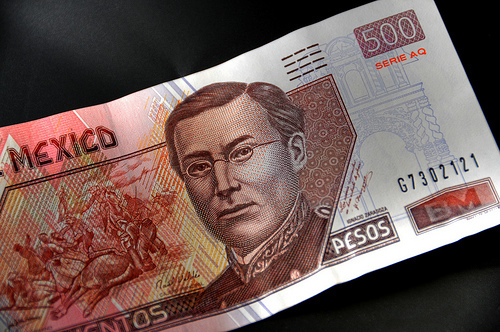 General Ignacio Zaragoza addressed his troops, telling them, “Your enemies are the first soldiers in the world, but you are the first sons of Mexico. They have come to take your country away from you.” Zaragoza ordered his commanders – Generals Felipe B. Berriozabal, Porfirio Díaz (José de la Cruz Porfirio Díaz Mori), Félix Díaz, Miguel Negrete and Francisco de Lamadrid, to occupy the Cerro de Guadalupe, a ridge of high ground dominating the entrance to Puebla, and the five forts which surrounded the town. Of the forts, the two most prominent were situated on the Cerro de Guadalupe on either side of the road to Mexico City — the fort of Loretto to the right, and the fortified monastery of Guadalupe to the left. These were the positions that General Count de Lorencez ordered the Corps. After a brief artillery bombardment the French began their assault. Caught in a devastating crossfire from the Mexican troops manning the loopholes of the two forts, the French line faltered and then broke. The soldiers of the Corps Expéditionnaire charged the Mexican positions two more times, but each attack was repulsed by the withering musket fire of the Mexican troops. As the beaten French began their retreat, Mexican General Porfirio Díaz, at the head of a troop of cavalry, attacked them. Though badly shot up, the Corps Expéditionnaire was able to retreat in good order. They spent the evening of Cinco de Mayo waiting for an attack which never came. The next day, they began to withdraw back down the road towards Vera Cruz. When word of the defeat reached Napoleon III, he replaced General Count de Lorencez as commander of the Corps Expéditionnaire with General Elias Frederic Forey, and sent 30,000 troops as reinforcements. The French reaction did little to lessen the shock of the defeat in Europe, and particularly in France. The Mexican Army had proved itself capable of standing up to a first-class European army, and defeating it. 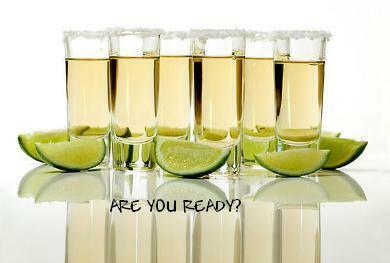 The victory of the Cinco de Mayo at Puebla is still celebrated today.